Appliance shopping is exciting, although with so many choices it’s easy to lose sight of your goals. To buy the right washing machine, you need to investigate the size and capacity suitable for your laundry, while also getting up to speed with progressive laundry appliances such as innovative ASKO washing machines. 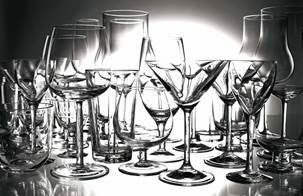 If you haven’t been appliance shopping for a while you are in for a surprise. Monolithic washing machines of a bygone era have been replaced by the genuine article, courtesy of minimalist Scandinavian styling, first-class manufacture and technological wizardry that allows you to put your feet up while the machine does all the work. W4086C.W.AU: This high-performance machine conceals incredible technology behind the seamless exterior. There are dozens of programs, options and modes including anti-allergy programs, a wool/hand wash setting, super rinse function and dark wash capability. W2084C.W.AU: The quality exterior finish is complemented by stainless steel components including the detergent drawer and long-lasting drum with Quattro vibration-free spinning. Every option required for a personalised experience can be tailored using the ergonomically designed Logic left-to-right interface. W4086P.W.AU: Perfect for a ‘hard-wearing’ wash where the machine includes built-in protection against overheating, unbalance and drain blockage. While your clothes are being washed, this machine uses Active Drum Technology to keep hoses and connections clean, Pro-Wash solutions for continually circulating and refreshing the water, and a Super-Rinse function for the feel of super clean garments. W6864: This appliance showcases the best of form and function for long-lasting performance. The programs and modes adapt to user requirements for speed and efficiency, while always remaining quiet even under maximum load use. Precise temperature control, a waterproof bottom plate, unbalance detection and 12 active programs all make for a personalised washing experience. What washing machine should I buy for my budget? 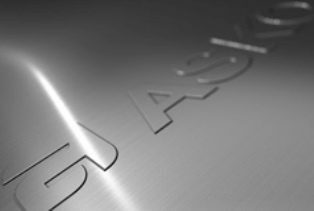 The number one purchasing consideration is budget, and ASKO understands the equation. 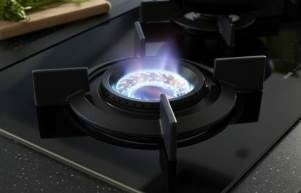 It’s important not to focus solely on getting a discount however, as some competing manufacturers offer deals that really are too good to be true, churning out throwaway appliances made from poor quality materials. The ASKO approach is to use only the best materials, employ the most talented workforce and design appliances that reward your purchase with money-saving, environmentally-friendly washing for many years. ASKO couples the best technology and manufacturing, providing a quantum leap forward in washing machine versatility, functionality and reliability. What features should I look for when buying a washing machine? The machine you buy should suit your household needs. Fortunately, ASKO washing machines are adaptable, with dozens of programs and features used to tailor your wash. The most popular 7kg, 8kg and 10kg washing machine sizes are all offered by ASKO, with various models available and a price to suit every budget. The machine should be somewhat weighty and very sturdy. 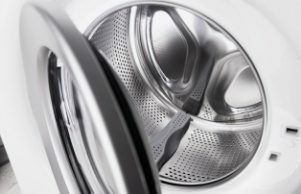 The best washing machines use high-quality stainless-steel components wherever possible and avoid the use of rubber and plastic that gathers grit and ultimately perishes. With technology on your side, you can buy an ASKO washing machine that measures weight and wetness using its own water detector, automatically adjusts hot and cold-water inflow, and ingeniously flushes dirt and pebbles away long before the powerful spin cycle commences. What is included when I buy a washing machine? Fortunately, ASKO washing machines are self-contained powerhouses that are easily connected to existing hot and cold-water washing machine connections. Additional brackets or fasteners provided assist with anchoring the appliance, while the strong Quattro support legs are easily adjusted to ensure your appliance is perfectly level and ready to roll. Follow the instructions provided, turn your ASKO washing machine on, and watch the magic happen. Where can I buy a washing machine? 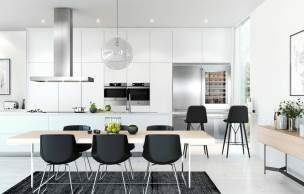 Well known and highly regarded appliance brands such as ASKO are fortunate to have a presence all around Australia. Our network is supported by ASKO-trained service personnel, along with prestigious retailers who are proud to display the best products and appliances. 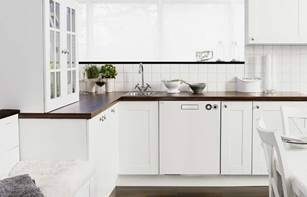 Visit your nearest appliance showroom and you will be surprised by the European and Scandinavian styling in vogue, with ASKO taking centre stage.